I was shocked when I heard these words come out of my Religious Studies professor on the first day of class. I was a graduate student in a World Religions course at a large public university. Equally stunning was when the same professor asked me to substitute for him later in the semester. I thought to myself: Is God awesome or what? With a little trepidation – who knows what the potential consequences of telling the truth would be – I nevertheless asserted that there were at least five universal truth claims in Christianity (See 1 Cor. 15:3-5; Acts 1:10-11). Jesus Christ was sent from God to accomplish the redemption of the human race. Jesus was crucified for sin and buried. Jesus was bodily raised from the dead. Jesus ascended to heaven where he is now reigning as Lord of all. Jesus is returning in the future to render judgment and make visible his everlasting kingdom of which all the redeemed are heirs. “That is very interesting,” replied the student. My substitute teaching days were over. 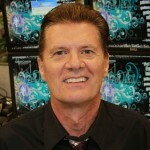 Dr. Ron Woodworth is an online faculty member at Grand Canyon University. He teaches Christian Worldview, University Success, Philosophy, Communication and Information Literacy. He is a published author, organizational consultant and leadership coach. He is a retired senior and associate pastor, having served for more than 25 years. Wow! Your article on September 9, 2011 “Spiritually Speaking: Be Prepared to Defend Your Faith” was amazing! I just read that article about four times and God is exploding things on the inside of me right how that are so prophetic is nature. This topic has been resonating with me over the last few years in so many ways. I am sure that God will “position” you on the correct platform for future teachings. What a stance and what strength in your words. I hope that many students, faculty and staff were able to read such a simple, yet powerful piece of writing. Thank you for sharing His Word in five simple statements. I look forward to meeting you one day or attending one of your classes.